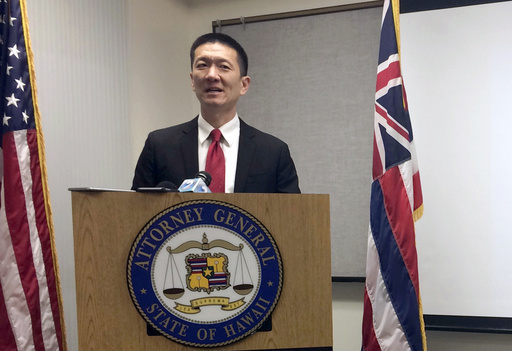 HONOLULU (AP) — Hawaii plans to challenge President Donald Trump’s revised travel ban, Attorney General Doug Chin said Tuesday. The state wants to amend its existing lawsuit challenging Trump’s previous order to contest the revised one, according to a motion filed Tuesday in federal court in Honolulu. The new order bars new visas for people from six Muslim-majority countries and temporarily shuts down America’s refugee program, affecting would-be visitors and immigrants from Iran, Syria, Somalia, Sudan, Yemen and Libya. Hawaii’s lawsuit had been on hold while a nationwide injunction on the initial ban remained in place. This is the second time Hawaii has asked a judge to lift the stay in order to file an amended lawsuit. Last month, U.S. District Court Judge Derrick Watson in Honolulu allowed the state to file an amended lawsuit adding the Muslim Association of Hawaii’s imam as a plaintiff. The mother-in-law of Imam Ismail Elshikh is a Syrian national living in Syria, according to the lawsuit that details the effect the ban would have had on Elshikh’s family and others in Hawaii. According to the motion, attorneys for the government had no position on the request to file another amended lawsuit. Hawaii plans to file its amended lawsuit and a motion for a temporary restraining order on Wednesday. Tuesday’s motion proposes a hearing on March 15, a day before the revised ban goes into effect. Hawaii has hired a Washington, D.C., law firm to help. Josh Wisch, a spokesman for the attorney general’s office, said last month the firm is giving the state a 50 percent discount.